We need your help to amp up the resistance to the Trans Pacific Partnership, a toxic deal that threatens people and the planet. Swell the ranks of the uprising against the TPP and defend democracy by joining a powerhouse of musical performers for the Rock Against the TPP concert tour. Many people at the concert may just be learning about the TPP for their first time, it's only with your help that we can excite and activate them to join the movement! 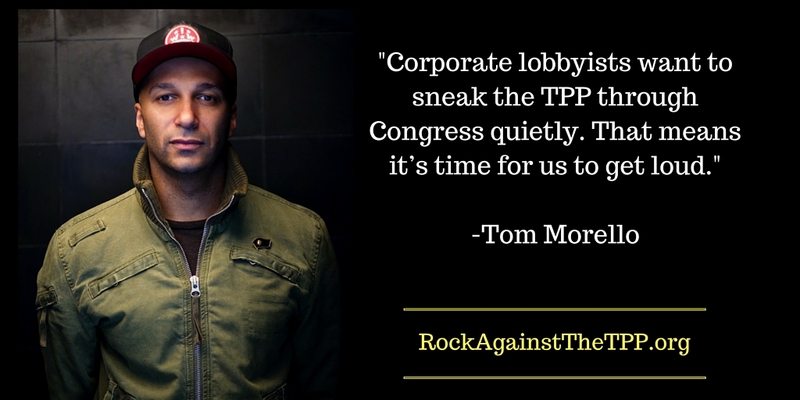 In Portland and Seattle Backbone will be helping to host Rock Against the TPP activation stations. With you as part of the team, concert goers will pledge action and make demands of representatives at a Star Wars themed TPP Death Star photo booth, introduce people to the guerrilla light projection tactic, share how they can mobilize TPP LED Overpass Light Brigade Panels in their city, collect postcards for a theatrical delivery to representatives on the fence, and more as part of the effort to build opposition to the TPP that undecided congress persons can't ignore. Please select the checkboxes including which city you'll join us in and which times you can help. We'll call you with more info specific roles as we get closer. Rock against the TPP is going to be so fun!